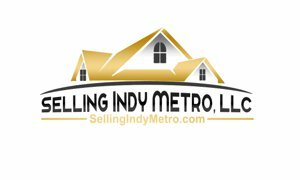 All Things Real Estate In Indianapolis and The Surrounding Communities. Buying a home Involves many Processes and preparations as well as many people in several different industries that can be involved from the Purchase to Close. Just a few can be Realtors, Title Companies, Lenders, Inspectors, Appraisers, Negotiators (short sales)and builders. Each has an important part to play in the successful Purchase to Close of your new home and will over a period of time be discussed here. Also you may find articles about Communites in and Around the Indianapolis area with Information on events, happenings and area Homes for sale. Market Information of particular neighborhoods and other informational news items relating to Real Estate and the communities we serve. There are many topics on Financing, laws and how it effects you. Choosing a lender, Points, Disclosure laws, Costs of financing. Financing terms, forms and what the process of getting a home loan and items necessary to get a pre-approval letter. Clear Title and what to expect at closing. The Different Types of Deeds and what it will mean to you. Buying a Home is an exciting time but can be very stressful. The more information you have on the home buying process the less Stressful it will be. So become as informed as you can. The Whole Home buying Process needs you. Dose it make a difference what the wording is in your offer when you ask the Seller to pay closing Costs when purchasing a home? It does make a difference, if you ask for $5000 in closing costs and don't include in the wording closing costs and pre-paid items in your offer some very expensive costs that relate to your closing are not covered. Your seller could net much more and you the buyer will be bringing possibly significantly more funds to the closing table. Your Real Estate Agent needs to define what you want the seller to pay out of the amount you ask the seller to pay in closing costs. Of course the buyer wants as many closing costs and prepaid items paid by the seller as possible. So a good agent will try to use up all of the $5000 Seller has agreed to pay in Buyer closing costs so the buyer will have to bring as little funds as possible at the closing of your home. Prepaid items are charges that aren't part of the mortgage process and fees not charged for the loan itself. They are es-crowed items or amounts paid directly (such as the Home Owners Association) majority of pre paid items are paid per Diem to the date of closing or in the future per diem 6 months or one year from the date of closing. NON RECURRING Closing costs items that are a one time fee A couple of fees are included only in certain circumstances or types of loans. When you put in an offer its important that you know what your expectations are and they are met. A Seller doesn't have to accept your offer and may counter back with a lower amount in seller paid closing costs. When the Seller does counter back and states they will only pay x amount in seller paid closing costs, your real estate agent if you agree needs to counter back and include the prepaid's and escrows with the closing costs or again the seller could be paying less then you expect and you may be paying more at closing then you expect. Multiple offers are common on properties in the SELLERS Market we are currently in here in the Indianapolis metro area, including Avon, Brownsburg, Plainfield, Danville, Carmel, Fishers, Zionsville and many other communities in and around Indianapolis. Multiple offers means the property you are going to or have already put in an offer has more then one offer and they are giving You the buyer a chance to raise your offer so you have a better chance of possibly receiving an acceptance from the seller. All buyers that have put in offers will be sent the same notice. In the multiple offer notification it will give you a time line that the listing agent has to receive the signed notification back or your original offer may not be considered. So make sure that you and your Real Estate agent pays attention to the details in the multiple offer notice and the process that they expect you to follow. So what should your highest and best offer be? The highest and best offer should be the highest price you want to offer and willing to lose the property at that price. Another way of saying you would not be willing to go any higher and ok to lose the home if you don't receive the acceptance. When a property is under multiple offer it means the property can have just one other offer the sellers are considering or they may have several. The sellers don't share that information and the listing agent is looking out for the sellers best interest. Also they won't share how high the other offers are or if the other offers are close or over asking price. They won't even say if your offer is close. I get this asked all the time and its questions that sellers or representative will not share. As a Real Estate agent its my job to collect as much information about your home upfront as possible. Information on your home upfront helps make the sell of your home run smoothly and with less stress and frustration. Its important to have the information on hand when qualified buyers ask many questions and while the buyer is trying to make a decision to purchase and also after you have an actual contract. Some information is for the title company that will be necessary to do a title search other information is for the buyer themselves. Immaculate move in ready plainfield home for sale and listed on Mibor for sale includes granite counter tops and wood laminate floors. Large open concept Family room, kitchen, dining room combination includes all kitchen appliances. Separate Formal Living room for entertaining. Kitchen has island with breakfast bar and pantry. Master bedroom includes walk-in closet, master bath with garden tub with separate shower and double sinks. All bedrooms have ceiling fans with lights. Freshly painted home with alarm, irrigation system and clean and well maintained. A short sale is not a bank owned property. Its still owned by the owner who is asking their Mortgage Company if they can sell the home for less then what they owe. The owners of the property are under water. The home if on the market won't sell for the current value in the current market. The sellers for what ever reason are behind on their payments and can't afford to catch up or pay future payments. Their only alternative is short sale or foreclosure. A short sale is sold as is because the owner has no funds to repair, thats why they are in foreclosure. A short sale bank doesn't own the home but owns the note on the property and they won't do any repairs. The only slim chance that the short sale bank will repair is if a buyers appraiser notes a significant issue and the buyer can't purchase the home unless the items are repaired or they lose their financing. If the appraiser notes issues with the home the under writer at the buyers bank will want repairs or they won't do the loan. Its a real problem with short sales as the Bank generally will not even then do any repairs. Once the repairs have been noted and the buyers lender says they must be repaired there are only a few ways to complete the transaction. The easiest for all concerned the bank completes repairs before closing. If this happens thank your lucky stars and you then can close on this home you have waited patiently for months. If the bank says no to the repairs then hopefully all the pieces can come together still on your purchase. Don't hold your breath though purchasing a short sale with repairs adds greatly to the possibility of not being able to close. There are a few ways you can might make it happen if your willing to take the risk. If your going conventional there are no escrow loans or repair loans available so if the seller can't do the repairs you will need to switch loans to an FHA with repair escrow(repairs below $5000 or an FHA 203k if the repairs are higher. FHA you can do an escrow loan if the repairs are under $5000. In escrow (your cash funds), the funds are held til the repairs are completed after the closing. Repairs have to be completed by a licensed FHA general contractor and paid invoices submitted to the lender within a certain amount of time and repairs completed after the closing. FHA 203K loan is much more complicated. Your time line to close will need to be much longer, usually 60 days and the short sale bank will need to agree with the extension. The short sale bank may refuse to extend, if they do refuse to extend you have run out of options to purchase the home. The cost of doing an FHA 203K can be significantly more. You would need to have a couple appraisals, an "as is" appraisal and an appraisal with FHA general contractor approved invoices for the repairs needed to be completed. Its time consuming and something can go wrong after spending all the extra money it takes to do an FHA 203K loan. I have seen a bank sell the loan at the last minute to another bank. If that happens the buyer would have to start the short sale all over again with the new bank. Short sales unfortunately are complicated and only a buyer willing to wait for sometimes months should consider trying to purchase. As i said in another post, Home inspections are important, its important that you know what your purchasing. Knowing the Condition of the property is one of the most important steps in making sure your investment is going to be a future pleasant experience. Unexpected expenses after the close can mount up and can be a money pit. Knowing as much upfront about the home your purchasing can save you thousands of dollars in unexpected repairs. Being there physically helps you become informed by asking questions and to be aware of what the inspector is inspecting. Please do go with a list of items that maybe you want the inspector to check or ask questions about. When you interview an inspector you should go over the expectations but still always bring notes with you to ask the inspector at the inspection. Inspectors don't note cosmetic issues such as nail holes, chips in paint, dings in counter tops. They should note anything significant. Purchasing a home, from the time you first shop for homes for sale to the day of closing is stressful and the most expensive purchase a person makes in their life time. Home inspections gives you the right to ask for certain significant items to be repaired by the seller. Inspectors note items inside walls only what visually be seen on the outside. Items that are hidden from view. Make sure sellers don't block important items like electrical boxes, attic entrances etc. If the GAS FURNACE or WATER HEATER are not lit, they won't be tested. Inspectors generally will not light an unlit furnace or water heater. SEPTIC and WELLS are not looked at in depth. Please do hire a septic and well contractor to inspect. This can save you thousands of dollars AFTER you close and own the home. CREAKING FLOORS: If this is important do walk the house and check for creaking noises. CHIMNEY'S are not inspected in depth but should be by a professional chimney contractor. ROOFS are usually inspected from the ground with high powered binoculars so if you want an in depth roof inspection bring in a roofing contractor. An Inspection is important but YOU need to be involved also. Buying a home is exciting but it is important to be involved and be proactive. Oak Bend Estates homes are upscale Executive homes usually on large lots. Homes range in price from 267,000-469,000. Oak Bend Estates is located off of 267 between 100 north and 200 north. Nice wide streets, side walks, pleasure to walk in. Its a lovely neighborhood to call home. 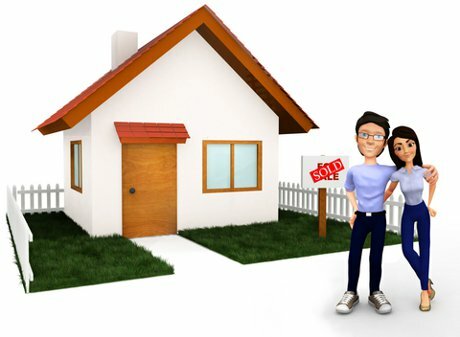 Are you wanting to purchase your first home, but are unable to come up with the down payment? Perhaps that is the only hurdle keeping you from home ownership. If so, did you know that the Indiana Housing and Community Development Authority (IHCDA) may offer a program to assist certain individuals and families (income limits apply)! You may even qualify for down payment assistance for up to 3-4% of the purchase price which won't need to be repaid if you keep the home for a minimum of two years. In fact, that amount will turn into equity in your home! To find out more and to see what programs are currently available, please visit IHCDA's website today at the link below. Condominiums in Avon Indiana is another option for home buyers that don't want the full maintenance responsibility. 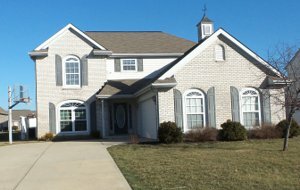 Avon Indiana offers a number of options for those searching for less maintenance or near maintenance free home ownership. Other reasons for owning a condominium can include the added amenities that can come with a condo such as a pool, tennis courts, and/or a clubhouse for entertaining. Thankfully, fast-growing Avon now has an increasing number of options for those wanting to own their own place and build equity, but feel a single family home doesn't fit their needs or lifestyle. If that is you, take a look at the Avon Condo current active listings for condominiums in the Avon area and let us know what questions you may have about condominium ownership.